NEW for 2018: GES is offering a 20% discount on any additional freight you bring to this year's show over and above your total 2017 show weight. For example, if your 2017 total was 10,000 lbs. and your 2018 weight is 15,000 lbs., the 20% discount will apply to the additional 5,000 lbs. The discount will be reflected under your material handling charges on your final show invoice. Please take notice - This event moves in and out on overtime, all applicable surcharges will apply. Thu. Nov. 8, 2018 Direct Delivery to Show Site* 8:00 AM To 6:00 PM Reference Targeted Floorplan for Dates & Times. Fri. Nov. 9, 2018 Direct Delivery to Show Site* 7:00 AM To 10:00 AM Reference Targeted Floorplan for Dates & Times. Mon. Nov. 12, 2018 6:30 PM To 11:59 PM Non-Manufacturing Booth Exhibitors need to complete move-out by 11:00 pm. Tue. Nov. 13, 2018 12:01 AM To 11:59 PM Manufacturer exhibits in West Hall, East Hall, & Concourse need to complete move-out by midnight. 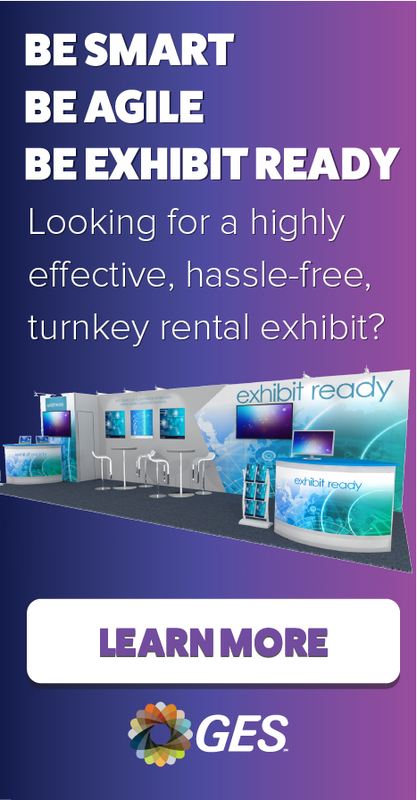 Wed. Nov. 14, 2018 12:01 AM To 5:00 PM Manufacturer exhibits in North Hall need to complete move-out by 5:00 pm.